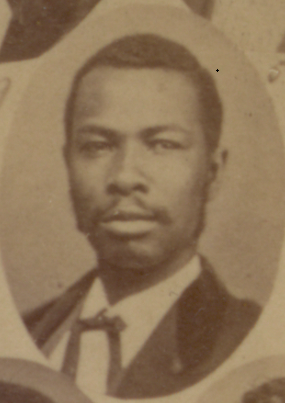 Born into slavery. 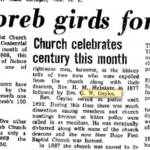 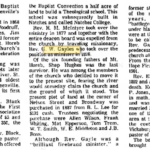 Baptist minister and newspaper editor. 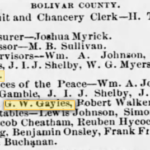 Served as a Justice of the Peace and on the Board of Supervisors. 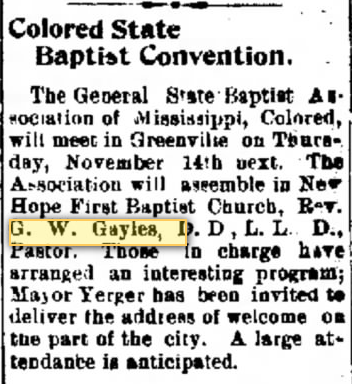 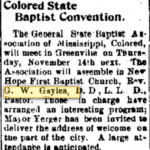 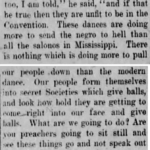 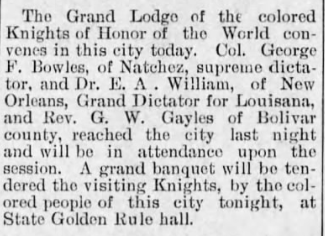 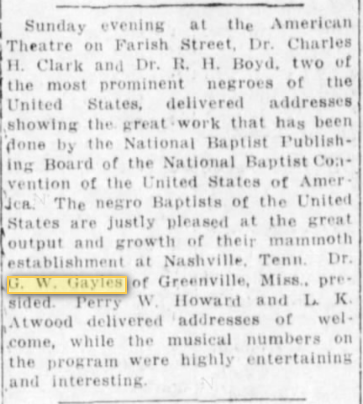 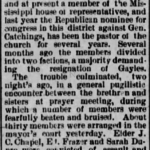 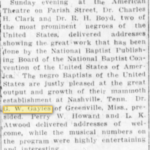 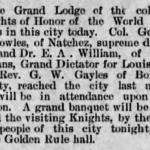 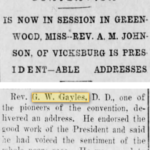 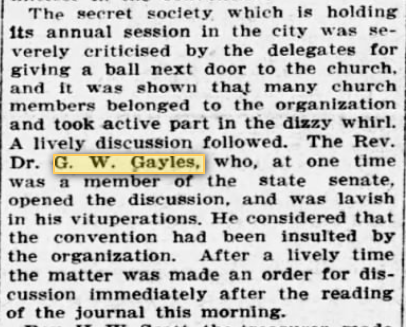 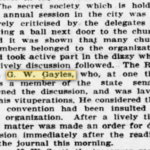 President of the Missionary Baptist States Convention for many years, beginning in 1875. 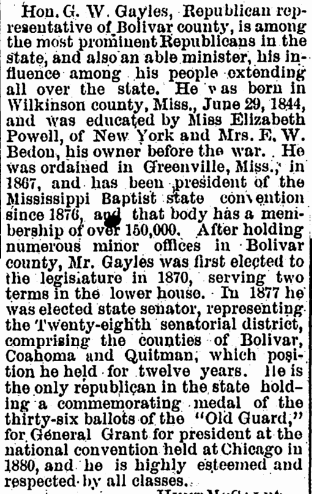 The only black state senator in Mississippi during his years in office. 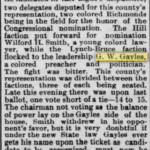 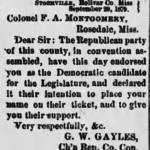 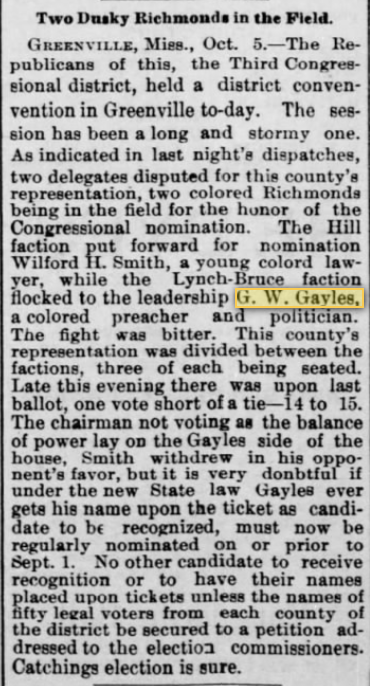 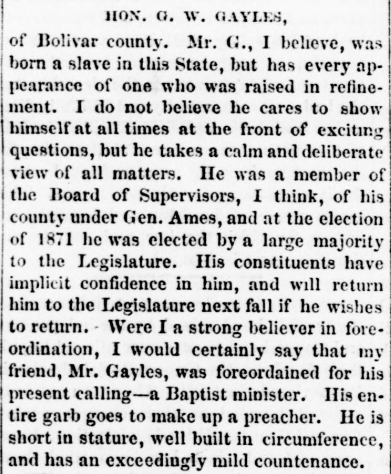 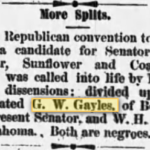 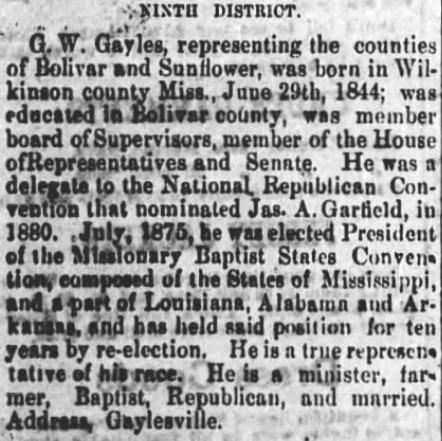 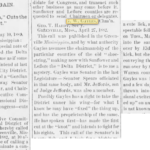 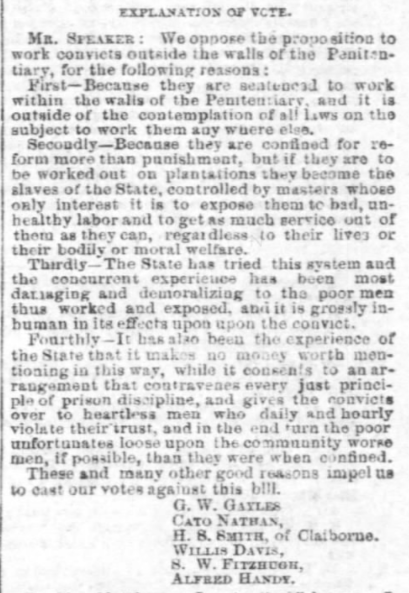 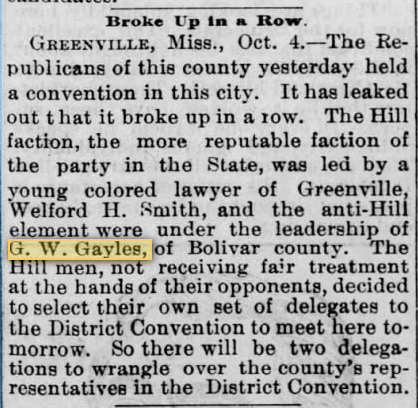 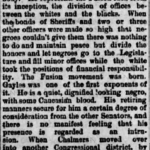 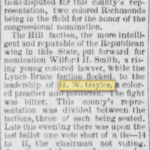 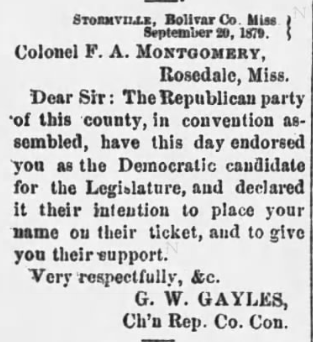 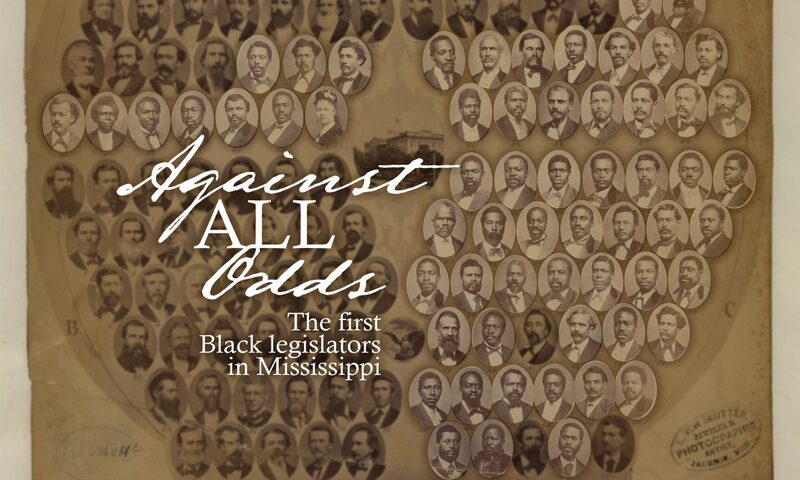 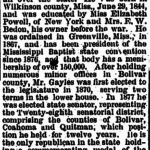 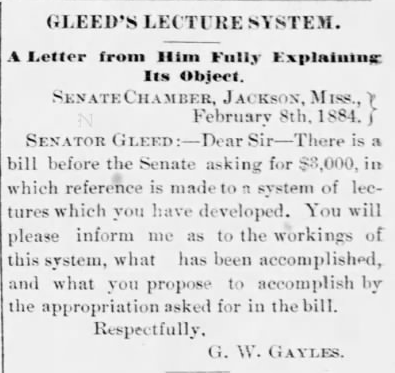 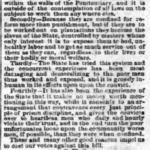 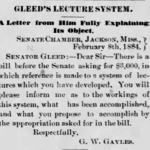 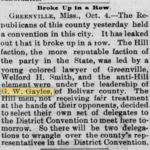 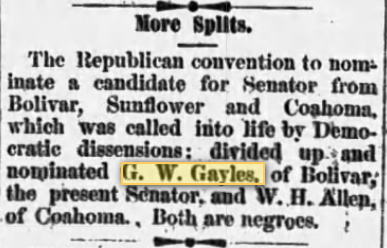 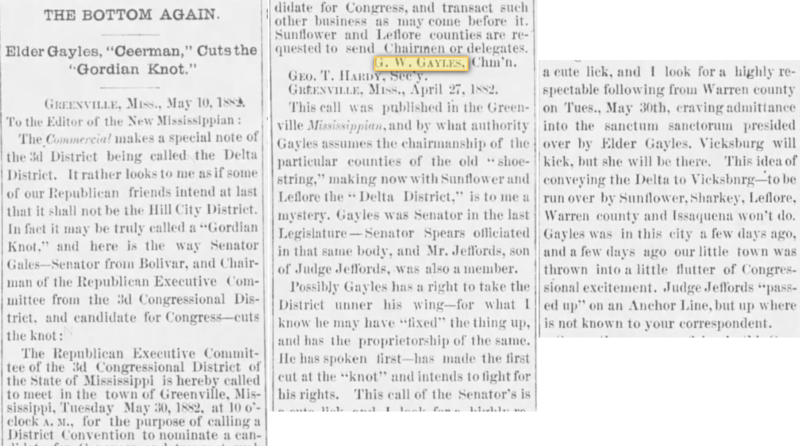 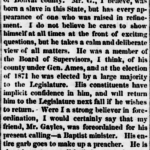 After he left the senate in 1886, and he and G. W. Butler completed their terms in the house in 1894, there would not be another African American in the state legislature until the late 1960s. 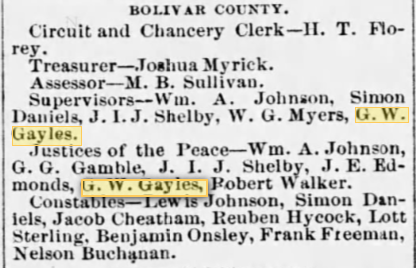 Gayles’ son, Benjamin Perry Enoch Gayles (left), attended Natchez Seminary and earned his degree at Roger Williams University in Nashville, Tennessee. 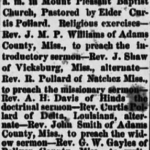 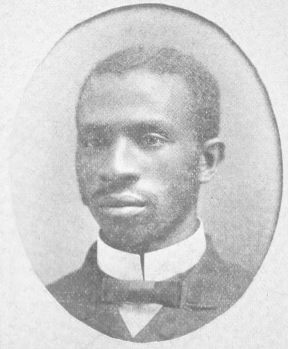 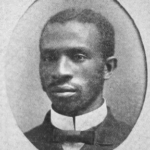 Ordained in 1890, he married Lamonia Cesorea Simmons (1863-1918), daughter of Caesar Simmons and Arabella Outlaw, in 1891. 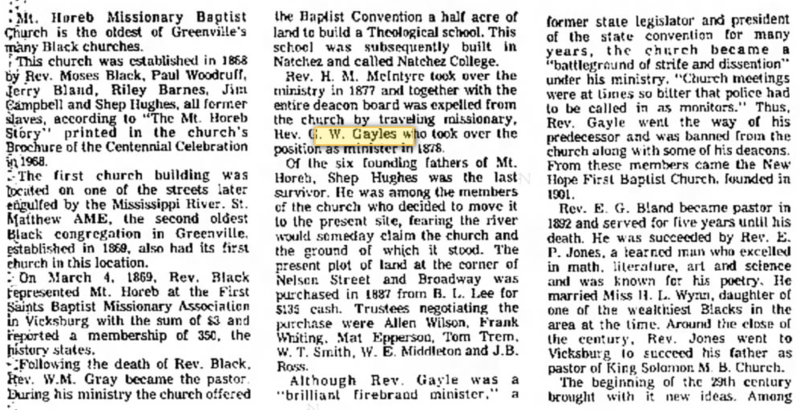 He served as a school principal in Natchez and Columbus before becoming the pastor of the Second Baptist Church in Macon. 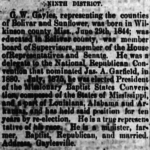 Eventually, he and his family moved to Illinois, where he died sometime after 1940.